for adults with learning disabilities in South London. Our work is based on developing and maintaining people’s independence, having a real presence in their local community. We aim to provide the standard of service and support we would choose for ourselves or those close to us. We are registered with the Care Quality Commission as a residential and domiciliary care provider and only support adults with learning disabilities. We work in the London boroughs of Lewisham, Southwark, Greenwich, Sutton, Croydon and the nearby surrounding areas. Our services include registered care, supported living, residential respite care, outreach support, training and employment for people with learning disabilities. We are led by a volunteer Board of Trustees and our work is guided by a Shadow Board composed of our staff and adults with learning disabilities who use our services. 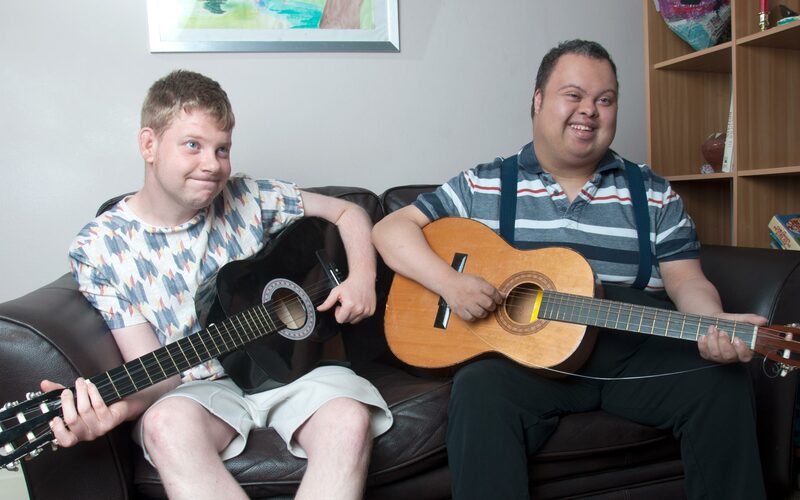 We support people with learning disabilities in small shared houses with 24-hour staffing. These can be registered care homes or supported living settings. We work with adults of all ages, supporting young people leaving home, people with complex health and care needs, people with challenging behaviours and pre-independence training towards increased independence. We’re experienced in working with people with learning disabilities who develop dementia and we provide end-of-life care, working in partnership with palliative care teams. Several of our houses are adapted for use by people with physical disabilities. Other services are expert in supporting adults with autistic spectrum conditions. In all services, we support people to develop skills and achieve their full potential. 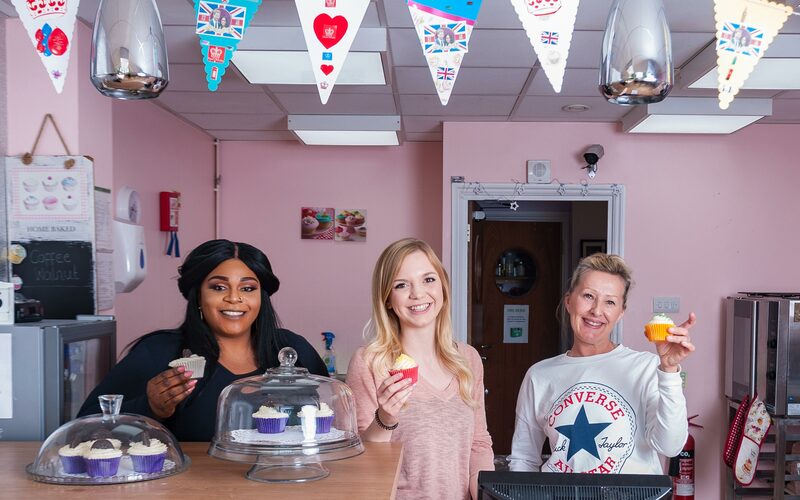 We offer support to develop employment skills, including supported employment in Pretty Little Cupcakes, a social enterprise operating from a coffee and cake shop in Penge High Street and support to access open employment. People also attend our popular cupcakes workshops where they are supported to make and decorate cakes. We also offer ipad workshops for people with learning disabilities where people can learn about the range of things they can do on a tablet computer. 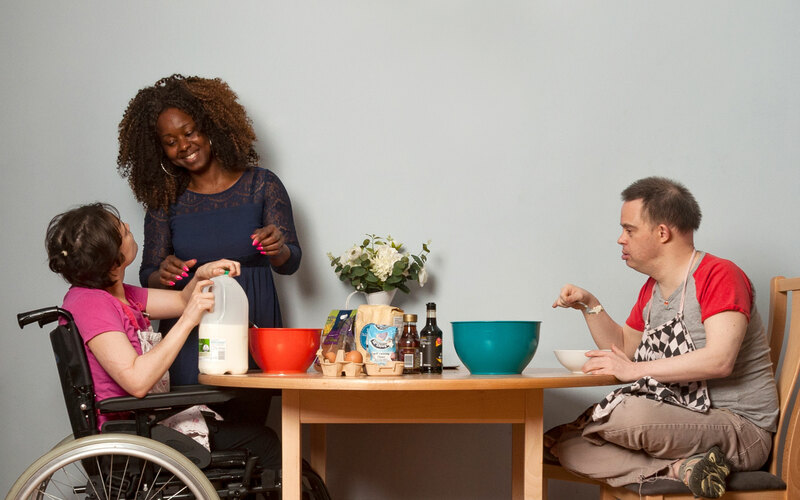 PLUS provides daytime outreach support to families who are caring for someone with a learning disability and works within three Lewisham Council day centres to provide fulfilling activities and new challenges. Our supported leisure services encourage involvement in the local community through employment and leisure opportunities, these include gardening, keeping-fit, arts and crafts and social group activities such as bowling and rambling. Short breaks and supported day trips are organised for groups or for individuals. enough to develop over time as needs change. and enabling environment for the service user to achieve optimal results. What do we take into account? What can a newcomer to PLUS expect? We offer a friendly service in a homely environment. Newcomers to PLUS are introduced to the service at their own pace. A key worker is provided as a single point of contact. Each service user’s cultural, religious and personal needs are respected and valued as a part of their support plan. We want everyone to see their time with PLUS as an opportunity to develop new skills. In supported living and residential care, service users are involved in running the house, shopping, tidying up or cooking for themselves. Away from the house, staff support skills training, leisure activities and attendance at clubs and social groups. Interested in getting a service from us? For 24 hour care in a registered home or supported living service: you will probably need funding from your local council or an NHS organisation. You need to approach your local social work team first and ask for a Community Care Assessment to see if you are eligible to receive funding. For Leisure Services and Employment Training: please approach us directly (see the “Contact Us” tab above). Our groups are accessible and many of our fees are as low as £5 for a half-day session. Supported holidays and days away are also available from time to time. For Outreach Services: we can arrange to meet you at your own home and support you for regular days out, or to attend one of our groups. We are happy to talk with you about any package of individual or shared support. If you have a Direct Payment or are looking to fund a place yourself, talk to us. If you are looking for Council funding, speak to a social worker at your borough Council. For Day Centre places in Lewisham: carers usually have entitlement to Council funding, or a Direct Payment from the Council. This is a fund agreed with your council, which they give to you to spend on support services for yourself or someone you care for. If your council is paying for your support service, you can usually ask for a Direct Payment if you would prefer this. We are proud of the support we provide to adults with learning disabilities, bringing greater independence and involvement in community activities. We believe in providing support in an individualized way that focuses on the abilities of each person, looking to find the positives and finding out what they can achieve rather than what they cannot. If you feel you can support adults who have learning disabilities – and may have some physical and/or mental health needs – then PLUS could be the place for you. 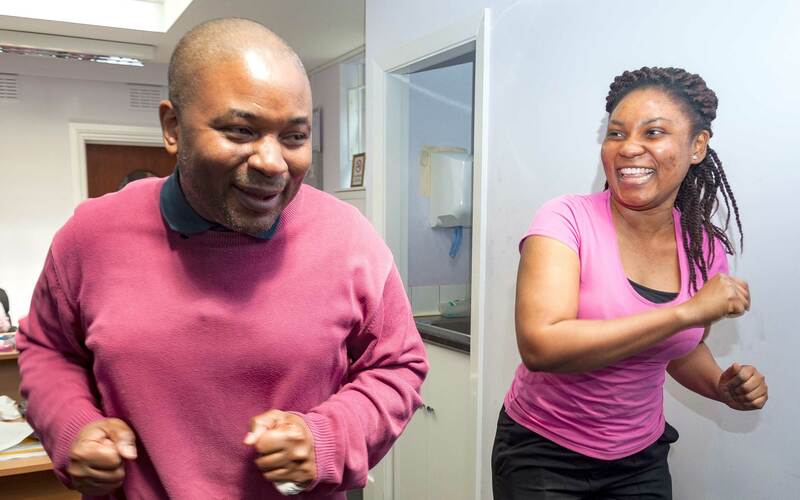 You will be based in our services in Lewisham, Southwark, Greenwich or Sutton and will work to support service users to live as independently as possible. Duties include promoting & safeguarding the well-being of service users; supporting them to achieve their maximum degree of independence through an increase in skills in a range of areas. This includes supporting education, social, leisure and employment activities appropriate to the age of the service user; encouraging them in all activities including personal care & hygiene, including bathing, grooming etc as well as administering medication. There is even the chance to support them whilst on holiday!! We are looking primarily for full time staff who can work a 38 hour week on a shift basis, which includes weekends and bank holidays and a requirement to sleep in at the service at least once a week. This is not just a job, so you must be able to demonstrate a real commitment to supporting vulnerable adults as well as being physically capable of pushing wheelchairs and supporting service users who may be physically dependent. Whilst previous relevant experience and a Diploma in Health & Social Care would be desirable, it is more important to have a supportive attitude and be willing to help each individual to maximise their lives. In return we offer opportunities for professional development and real job satisfaction. We can help you to develop your professional skills and knowledge and progress toward recognised qualifications whilst providing a truly worthwhile service. Service users are at the heart of PLUS, and Training and Development is driven by their needs. PLUS Training and Development supports the operation of a Person Centred Planning (PCP) approach. Who is the service user – what are they like as people, what are their skills, characteristics? What is important to the service user – what are they telling us is important to them through their words/manner/behaviour/actions? How does this service user want to be supported? We aim to support and empower our teams to deliver the best care for service users. We do this because we believe this enables better communication between service users and supporters and encourages a deeper commitment to care. PLUS encourages support workers to achieve practical experience of techniques and communication skills, involving the service user, their family and friends. This helps provide a much richer picture of the service user, their life and aspirations and the best ways to support them. PLUS supports and funds Pretty Little Cupcakes, a social enterprise shop and coffee bar in Penge High Street which offers the best in cupcakes and coffee to the public. The shop is the core of PLUS’s employment training service and offers employment training for adults with learning disabilities to make and decorate cakes and to serve the public. Pretty Little Cupcakes provides part-time paid employment for people who have come through our training placements. Cake making workshops are also run on the premises and these are highly popular. PLUS provides a basic level of staff support and some people bring their own support staff to help them get the most out of the sessions. Our Board members are all volunteers. They have overall responsibility for the organisation, its finances and service delivery. They are professionals in care, law, finance, and marketing and some are relatives of people with learning disabilities.